ESCANABA – Chelsea Hewitt of Palmer was selected as the 2018 Outstanding Graduate for Bay College’s Technology Division. The award was sponsored and presented by Verso Corporation. Hewitt earned an Associate in Applied Science Degree in Water Resource Management and will pursue an additional Associate Degree from Bay College in Environmental Management starting this fall. Her instructors describe her as a hardworking student, with a high-level of dedication and determination. 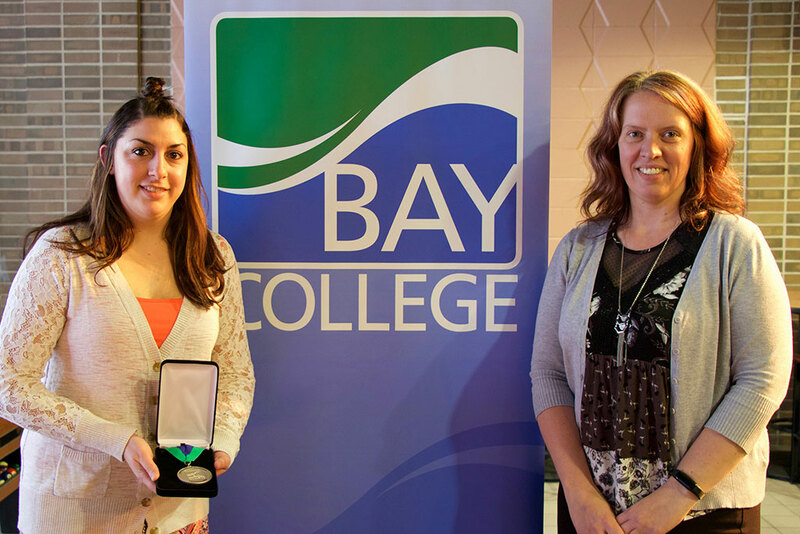 Bay College selects an outstanding graduate from each of the six divisions at the college. The graduate is selected by their instructors for their academic excellence, leadership and community service. Chelsea enjoys spending time with her daughter, Aubrea, as well as participating in outside activities such as hiking, fishing and playing softball. Recognizing Hewitt was Pam Lauscher, right in photo, from Verso Corporation. Share the post "Hewitt named outstanding Bay College graduate for technology division"